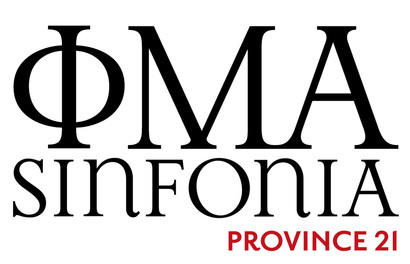 The 21st Province of Phi Mu Alpha Sinfona Fraternity was established in 1953 when Bro. Farley Hutchins, Gamma Zeta (Lawrence) '39 was appointed the first Province Governor of the Province 21 by, then National President Archie N. Jones, Alpha Mu (University of Minnesota) '29. Our province is comprised of 9 chapters and 1 alumni association including Philly Sinfonia. We cover a geographical area spanning Central & Eastern Pennsylvania. For a more detailed insight into our Province, please see the official Province website here. Italics implies reactivation (chapter) /rechartering (alumni association) date.